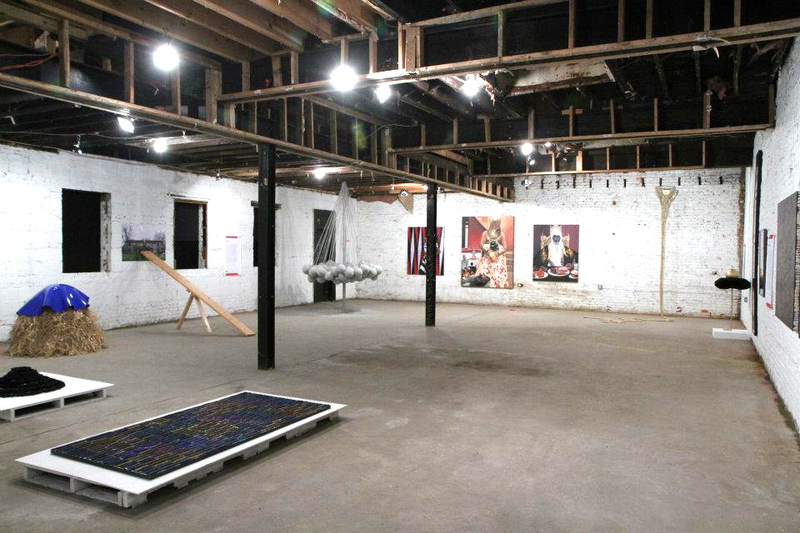 A few months prior to opening her new storefront gallery, Lauren Gentile organized the group show Next Generation in a raw warehouse space in downtown D.C. 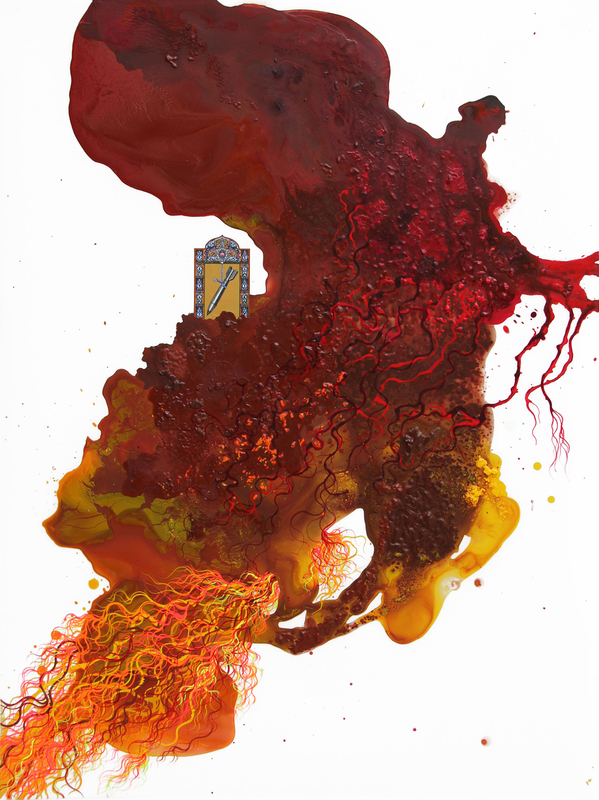 It was timed to coincide with the Rubell Family Collection’s 30 Americans at the Corcoran last winter, and it tapped a few art stars from the Rubell showto select a batch of up-and-comers they viewed as the next generation of great artists. It was a novel conceit for an exciting show, as well as a clever pooling of disparate resources that included direct mayoral intervention. As of earlier this month Gentile’s putting that resourcefulness to work in Contemporary Wing, her new exhibition space on 14th Street. It’s a coming home of sorts — Gentile was the longtime gallery director at Irvine Contemporary, which occupied the same address until it shuttered last summer. And she’s inaugurating the new digs with an aptly titled solo show, I’m Coming Home, by Hedieh Javanshir Ilchi(NAP #87 and #100), a recent MFA graduate from American University. I recently caught up with Lauren to chat about her new gallery and inaugural show, as well as the Next Generation exhibition. Matthew Smith: First, let me ask you about the name of your gallery. Why Contemporary Wing? Lauren Gentile: I didn’t want to use my name because none of this is about me; it’s about supporting living artists, promoting their work and Washington, D.C. as a platform for emerging art. I also wanted something Washington-esque (West Wing, Contemporary Wing) and we do a lot of response shows to museum exhibitions, most of which are building contemporary wings. It’s become hugely important for institutions to have a wing designed by a famous architect to display their contemporary holdings. (And I also couldn’t think of anything better). MS: Considering that a couple of galleries have recently shuttered or moved away from 14th Street because of skyrocketing rents, and that other new galleries are eschewing the area altogether, why open up shop here (beside the great restaurants)? LG: I had already worked at this address for 6 years when I was the director of the previous gallery so everyone is used to me exhibiting and dealing work out of the space; it feels natural to be doing that there. Plus, it’s a store front on 14th and P, NW — you just can’t get better than that. The rent is so high because this is where all the action is. Though I definitely would not be able to be here if I wasn’t cohabitating with Lori Graham Design who took over the whole building; I’m a little satellite of their creative empire. I’ve been referring to this address, 1412, as The House that Lori Graham Built. MS: What are the differences between being the director for someone else’s gallery, like when you were at Irvine, and running the whole show? Presumably you’ve got a lot more on the line, for starters. MS: You’ve been a longtime gallery director and now you’re adding proprietor and founder to your list of titles. Does running the whole show change your vision for projects you decide to take on? LG: Not really, I love doing huge group shows like NEXT, which are extremely expensive and time consuming, but they’re my specialty. I like to take big, yet calculated risks; I’m a risk/reward ratio thinker. I’ve flown too close to the sun before but luckily I have 15 years’ experience to rely on to help me judge opportunities. 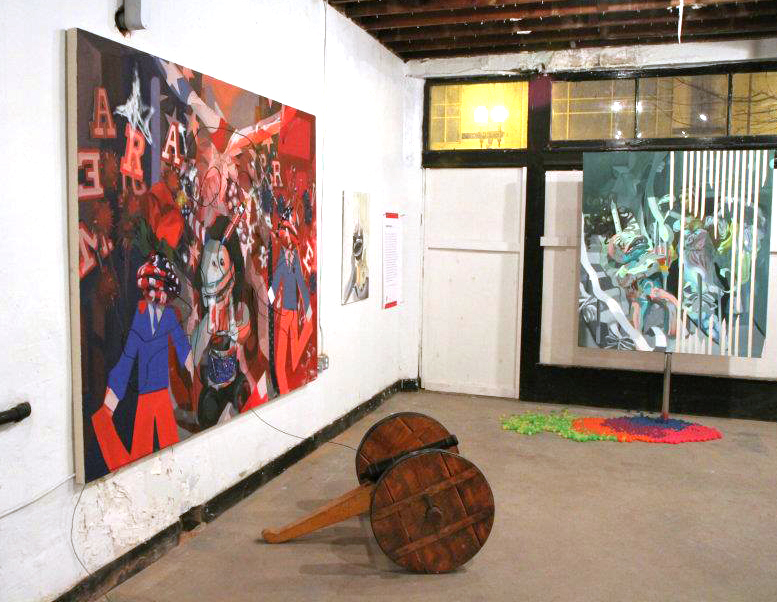 MS: For Next Generation you pulled artists from across the country for a large group show. For the inaugural show of your physical space, however, you turned back toward D.C. and you’re exhibiting Hedieh Javanshir Ilchi, a recent MFA graduate of American University. 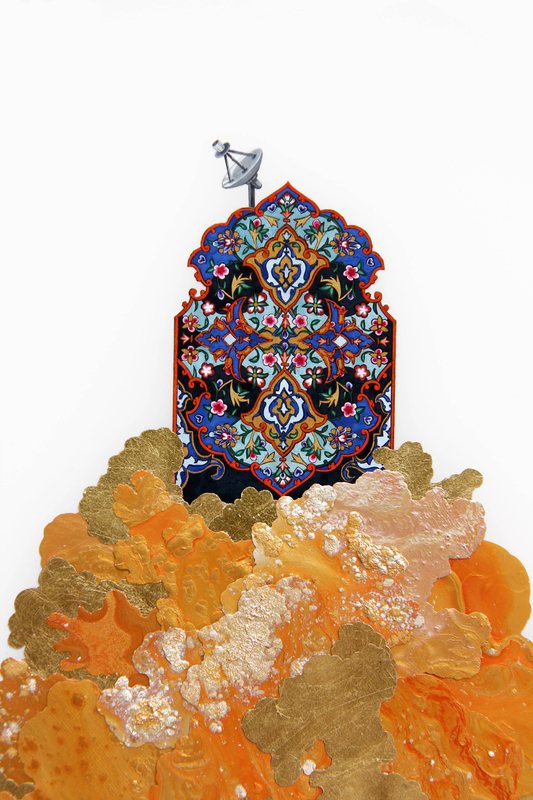 Why did you choose to open up with Hedieh’s solo show? LG: It just made sense, she was working on a series about domestic spaces in Iran, I was returning to my old home at 1412, we have had a successful relationship for years so we decided to call it I’m Coming Home. It has many meanings. Also, sometimes you get flak by the D.C. press for not showing enough local artists, so I’m sensitive to that. 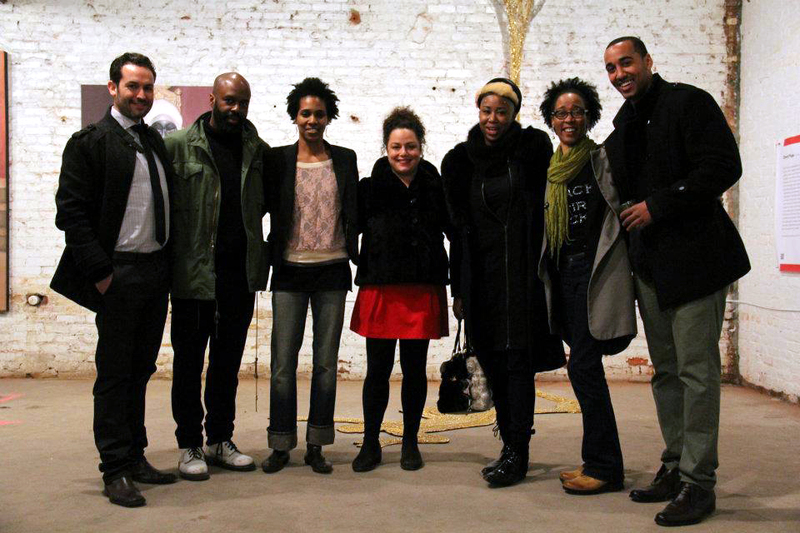 But for the record regarding my last show NEXT, Nick Cave’s pick,Sonya Clark, is a born and bred Washingtonian. MS: What do you have coming up next? Will I see you at (e)merge this year? If so, do you know who you’ll be showing yet? LG: This summer I’m doing a series called Off The Wall which will be monthly, themed forums for collectors to either trade or sell desirable work that doesn’t fit in their collections anymore. It’s never been done before and I’m going to install it differently too, it will be hung in domestic vignettes so it’s like you are viewing it in the home it is coming from. And we have a really strong cast: Tracey Emin, Kara Walker, Nan Goldin, Lari Pittman, Shepard Fairey, Dalek, Faile, Gary Baseman, etc. Also this summer we have two Smithsonian projects with GAIA and Sebastian Martorana at the National Portrait Gallery and the Renwick Gallery respectively. In September I’m doing a special tribute show with MICA graduates for Lucio Fontana with curators Mike Maizels of the NPG and composer Nathan Lincoln-DeCusatis. We’re scheduled through 2013 and I update the website regularly. And yes, I have applied to (e)merge with 3 females artists. Caitlin Cherry and Cheryl Pope whose work sold out at NEXT, and Hedieh Javanshir Ilchi. 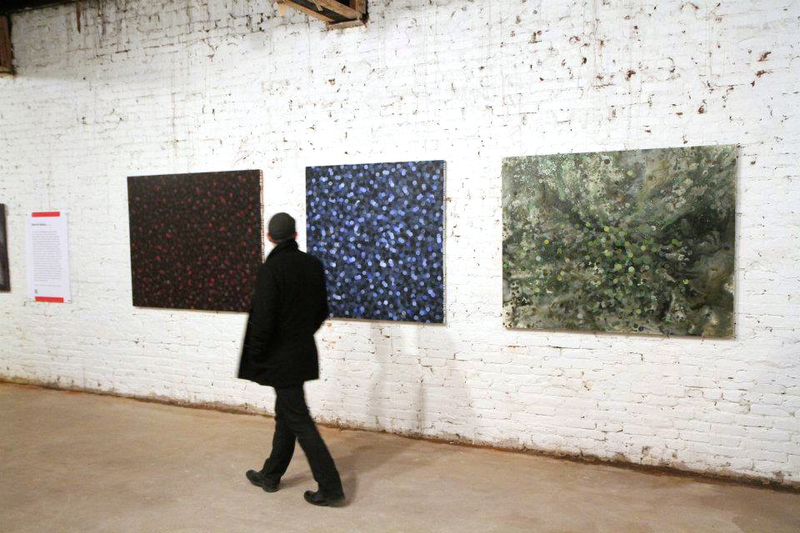 Installation view of Next Generation. Paintings by David Huffman. 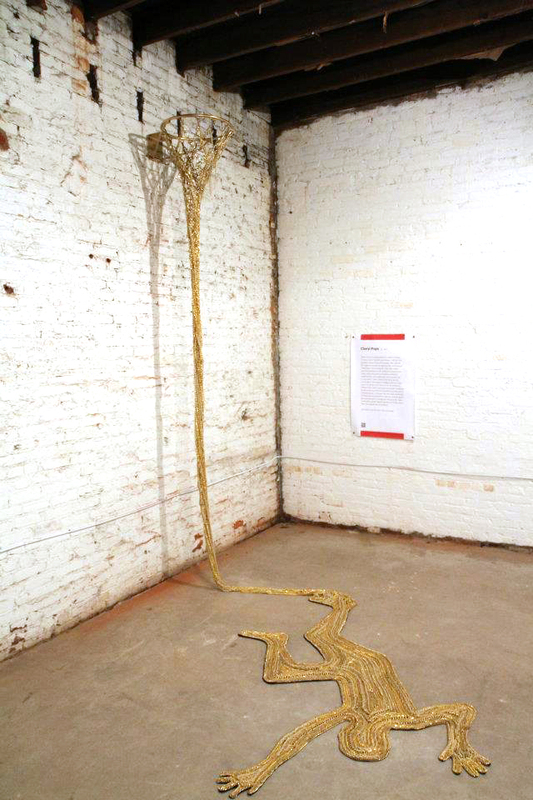 Installation view of Next Generation. Work by Cheryl Pope. 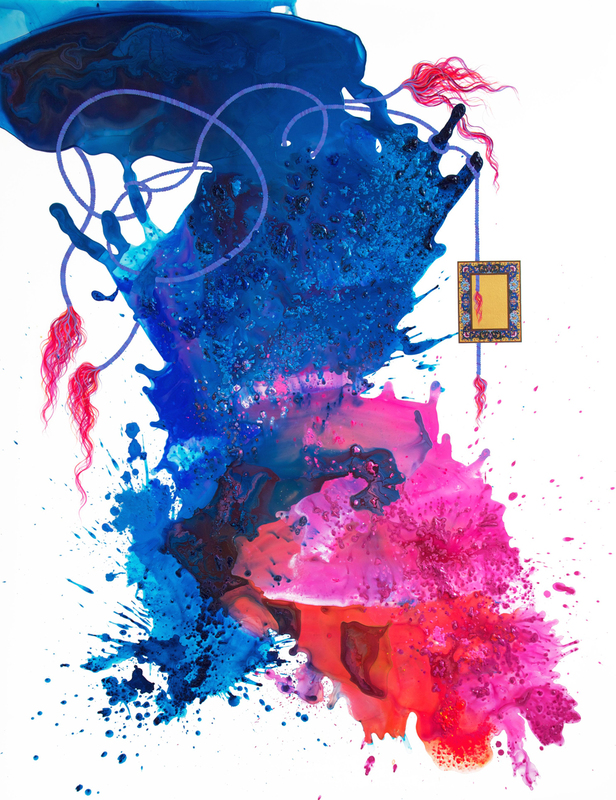 “I’m Coming Home” will be on display at Contemporary Wing, Washington, D.C. until June 16.